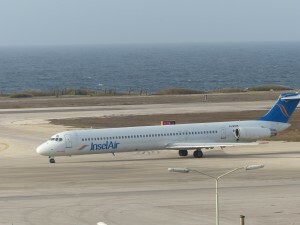 WILLEMSTAD – The Court of Justice in Curaçao granted a provisional moratorium to InselAir International B.V.
InselAir management had its request for suspension (deferment) of payment justified by the argument that the company has long been in poor financial condition, but that it expects the company to become viable if the necessary measures can be taken in the calmness of a moratorium. The Court has appointed mr. Van den Heuvel, lawyer in Curaçao, as administrator. The date for the meeting of creditors is set for June 9, 2017 at 9 o’clock in the morning. Then it will be decided whether the provisionally granted suspension of payments can be finalized.